Vivo’s flagship phone, the Vivo Nex is up for sale in the country today. The futuristic smartphone which comes with a pop-up camera can now be picked up from Amazon India or Vivo online store for Rs 44,990. Vivo is also selling the handset through select offline stores in the country. This is the first time Vivo has launched a flagship smartphone in India. The Vivo Nex, especially with its Rs 44,990 price tag gives a tough competition to the OnePlus 6 in India because the former packs a true bezel-less screen, bigger battery and has that motorised camera which is fun to use. On the other hand, the OnePlus 6 edges out on the Nex especially in the software segment, thanks to the OxygenOS custom skin which matured to be one of the best OEM skins in recent times. The Vivo Nex has a 6.59-inch Full HD+ Super AMOLED display on the front, carrying a resolution of 1080×2316 pixels and 19.3:9 aspect ratio. 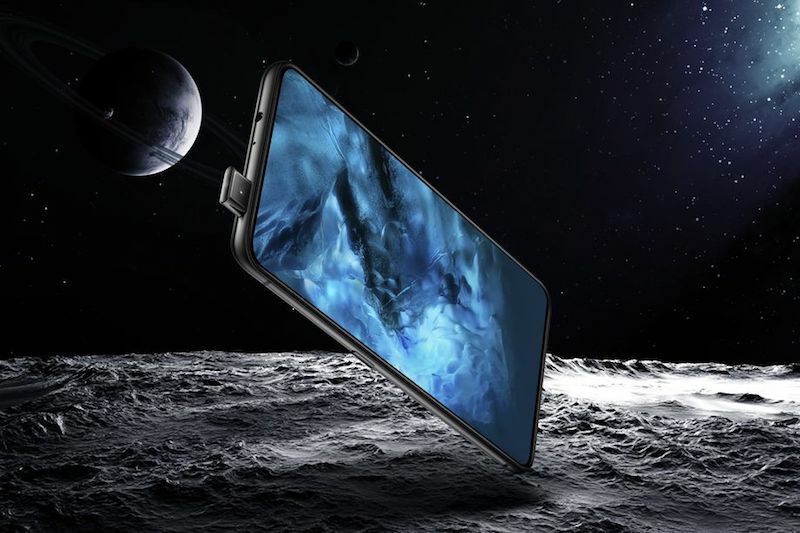 Vivo is calling this display as ‘Ultra FullView’ display because there are no bezels on three sides of the handset. Being a flagship smartphone, the Vivo Nex comes with Qualcomm Snapdragon 845 chipset, and the Chinese vendor launched the device in a single 8GB RAM variant with 128GB of internal storage. Sadly, there’s no microSD card slot for storage expansion. The phone boots FunTouch OS 4.0 built on top of Android 8.1 Oreo. Vivo has achieved an insane 91.4% screen-to-body ratio on the Nex because it has gone with a motorised front-facing camera that pops up everytime you fire up the front camera function inside the camera app. It’s an 8MP unit and the camera app comes with a host of features such as AR Stickers, Bokeh mode and so on. To the rear side, there are two cameras with 12MP and 5MP sensors. The rear camera has support for 4-axis OIS, f/1.8 aperture and LED flash. The Vivo Nex has a 4000mAh battery inside and comes with fast charging too. Vivo has priced the Nex at Rs 44,990 in India and the smartphone is already available for purchase on Amazon India and Vivo Store India. Aforesaid, it can also be purchased at select retail stores across the country. As for the launch offers, Vivo is offering free one-time screen replacement with the handset along with Rs 5,000 discount offer if a customer exchanges their previous smartphone. Telecom operator Reliance Jio is also offering Rs 1,950 cashback on the smartphone if a customer opts for the Rs 198 or Rs 299 recharge plan and purchasing the device. So Samsung S8+ is far more better than the crap vivo. Kindly forward this to your friends to alert others also. Why only samsung s8+ ? Why not oneplus 6 or honor 10? nex is so far the best device ever made by vivo, be it design, performance, camera etc. So you my dear troll somewhere else cuz at the end of the day people are smart enough to decide better for themselves. Fahad : Those two devices are useless because they do not have memory card slot. 1) Vivo X21 and NEX both have gorilla glass. I am using X21 without any screen protector. 2) 128GB+ memory and you still need memory cards? 3) Auto focus in front camera does not make much difference for arms length photography. Only thing they want to improve now is their custom skin and update policy. Otherwise Vivo Nex is fantastic phone. Nikhil Vivo’s high end (X series + NEX) will get 2 major Android updates. Only problem is update speed is quite slow, they don’t roll it out fast. Let’s see if it improves with Treble. 2) Answer to the point. What will you do if your phone hangs / stops functioning normally when there is no laptop or any other location to backup the phone memory contents?. Can you prove that your personal data in the phone memory will stay as it is even after you factory reset your phone?. 3) Use autofocus in front camera and tell. You do not know the meaning of auto focus. 1) NEX A is not launching in India so let’s only consider X21 and NEX S.
2) What will you do if your memory card goes kaput within a year? Memory card failures are to the tune of 30%. Thus, only one solution: Do regular backups. 3) I have used auto focus in front camera on Sony Xperia. Has never made any difference for selfies, sorry to say. Stop playing double game here. If I say the same thing, everyone will say that I am supporting high end branded phones without using their common sense. It’s a fantastic phone with little bit overpriced . Fingerprint sensor is bit slow. No facial unlock due to less strain on moving front camera.Battery is fantastic too. Charges pretty quick too. Only downside is heavy custom Funtouch OS. But it’s better than all the phones released by Vivo in past. 38000-40000 would have been ideal price. Nikhil start bargaining it’s easy to get this phone at 41K.